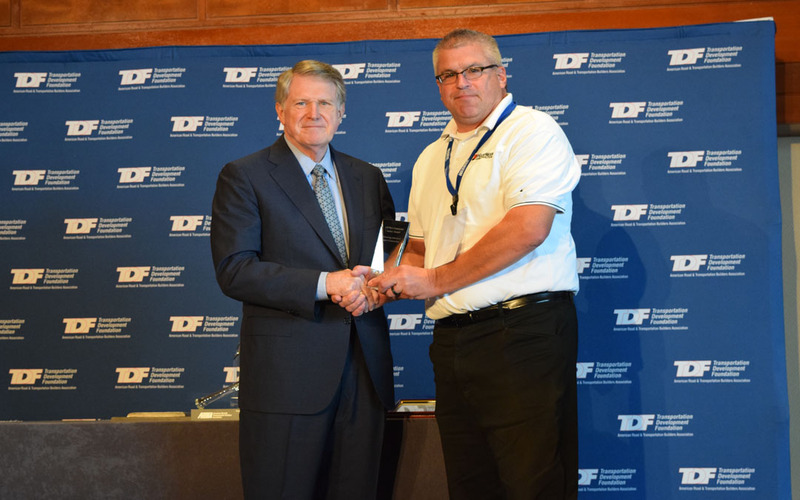 Chris Burns, director of safety and administration, Hardman Construction, (right) accepting Contractor Safety Award with Leo Vecellio, TDF chairman. ARTBA’s Transportation Development Foundation (ARTBA-TDF) Sept. 30 selected “Contractor Safety Award” winners during the association’s annual convention. The annual competition is designed to recognize industry firms that have implemented outstanding employee health and safety programs. Winners were named in three categories based on the number of employee hours worked during the previous year and low Occupational Safety and Health Administration recordable rate scores.